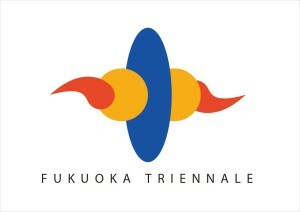 The Fukuoka Triennale is the largest exhibition presented by the Fukuoka Asian Art Museum. The Fukuoka Asian Art Museum opened in 1999, as a part of the city’s progressive strategy for interaction with different Asian cultures, and it systematically collects and exhibits Asian modern and contemporary art. The museum functions as a place for people to become familiar with Asian arts and culture through the artistic creations and researches of the invitees of its Residence Program. Rising biennales and triennales of East Asia have created a stir in the Western-initiated international art exhibitions. 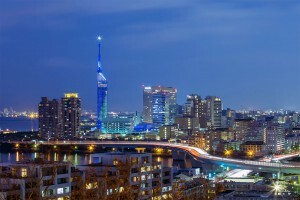 Some of the examples are Yokohama, Tsumari (Niigata) in Japan, Gwangju and Busan in Korea, Shanghai, Guangzhow, Beijin in China and Taipei. The backgrounds of these exhibitions are advances of Asian artists assimilated into the international art scenes as well as recent economical developments and internationalisation. The Brisbane Triennale may be thought to have a similar viewpoint as the Fukuoka Triennale in terms of their approach and its focus on the art in Asia and Pacific region. This may be a result of the city strategy to respond to the current ongoing decentralisation from the West. The Fukuoka Triennale is not just part of the boom in Asian art exhibitions that has been distinctive. Its predecessor The Asian Art Show dates back twenty-five years; had been held every five years at the Fukuoka Art Museum since 1980, a time when many people were wondering whether there was any contemporary art in Asia. In addition, the Fukuoka Triennale has featured numerous unknown Asian artists, some of whom had not been internationally exposed. These exhibitions were materialised by the networks in Asian countries and regions that were nurtured through the series of activities originally conducted by the Fukuoka Art Museum. The Fukuoka Triennale sets a different theme for each exhibition focusing on the most remarkable movements in Asian art of a particular time to introduce original creativities of Asia and the original activities of the museum in the context of the history, society and culture of Asia of that time. 7 & 8th Floor, Riverain Center Bld. The Fukuoka Asian Art Triennale is an international exhibition held under a different theme every three years to introduce the most up-to-date tendencies in art from 21 countries and some regions in Asia. Fukuoka Asia Art Triennale 2014: Theme and artists. The 4th Fukuoka Asian Art Triennale was held in commemoration with the 10th anniversary of the Fukuoka Asian Art Museum. The 4th Fukuoka Asian Art Triennale 2009.